At machinebidder™ we offer an online auction platform to various clients including Finance Companies, Banks, Liquidators, Engineering companies both private and public and sole proprietors, for the sale of Industrial Assets. 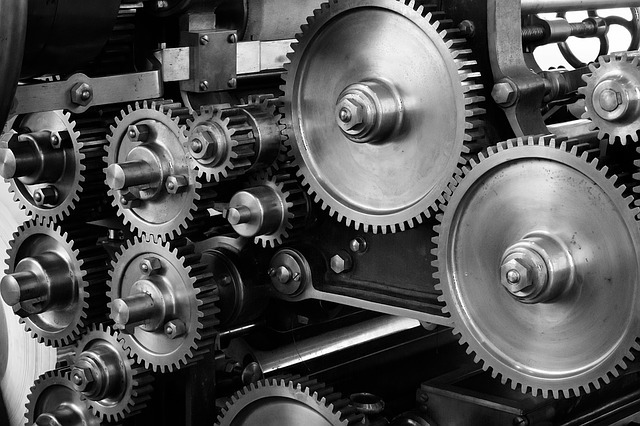 Our staff has a wealth of knowledge within the capital equipment business specifically Industrial Assets including Machine Tools, Sheet & Fabrication Equipment, Hydraulic & Mechanical Presses, Gearcutting, Overhead Cranes, Compressors and can assist you in making the right decisions when you are considering selling equipment. We are committed to offering a full and comprehensive service to our clients whilst ensuring we achieve the maximum return on their assets. We have invested heavily over recent years in increasing our freehold warehousing and office facilities, IT capability, continued expansion of our customer database and most important our committed staff. Whether you are looking to sell all or part of your business/equipment, routine disposal of surplus equipment or simply trying to understand the value of your assets we have an extensive range of services and options to suit your needs. We have a good working relationship with banks, finance companies and insolvency businesses, because we can recover and sell equipment quickly on their behalf backed by the ability to store in our freehold warehouses serviced by overhead cranes, and sell by online auction or private treaty. Our principals work on the basis of a strong work ethic, great communication and a very friendly approach backed by financial resources this enables us to solve problems which may arise within the financial services sector as well as servicing manufacturing companies of all sizes both in the public and private sector. Ideally we organise sales on your premises or, if necessary, remove into one of our warehouses with overhead cranes. Our typical online auction would be two to three weeks in duration and can often be single items, multiple items or complete workshop facilities. All lots are photographed and lotted with technical descriptions and occasionally video footage and appear online for attracting bids from the UK and Worldwide. Once the buyers have completed the registration process bids can be placed 24 hours a day from anywhere in the world. If you are considering disposing of equipment, whether it be one machine, several machines or a complete workshop we can offer an outright offer to purchase, or agree to sell your assets on a commission basis only. We can offer a complete service that can be tailored to your specific requirements. For a free consultation with no obligation and complete confidentiality feel free to contact us 0161 345 3000. We have major funding available for larger disposals/clearances. Our current clients are Finance Companies, Insolvency Practioners, Liquidators, Banks, Public & Private Engineering Companies. Some of our larger group clients over the years have included BAE, GKN, METSO, WEIR GROUP, GOODRICH, HOERBIGER & many more.